I do so love butterflies.. such a beautiful and whimsical part of nature! 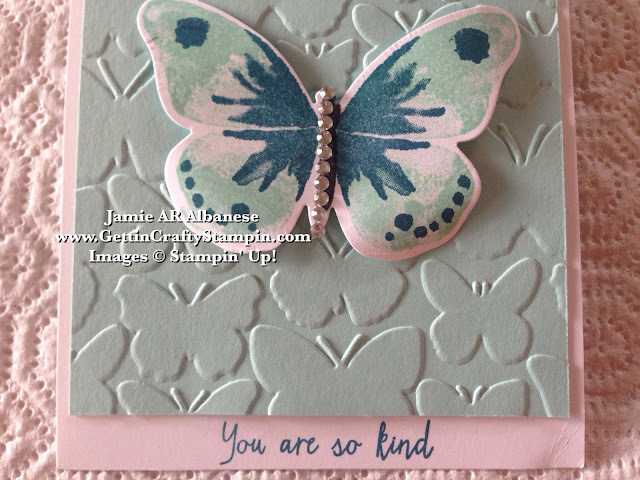 Here with the new Watercolor Wings stamp set and coordinating Bold Butterfly Framelits it's fun and easy to create a whimsical card to deliver smiles. 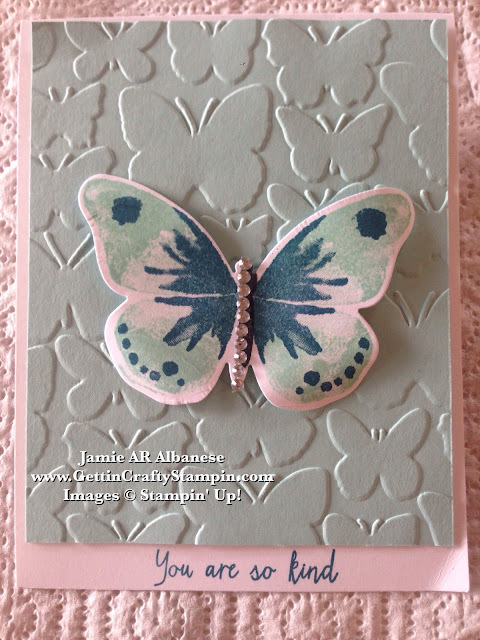 Created at our recent Stamper's 10 Club - this was one of the super fun and easy hand-crafted cards we created! 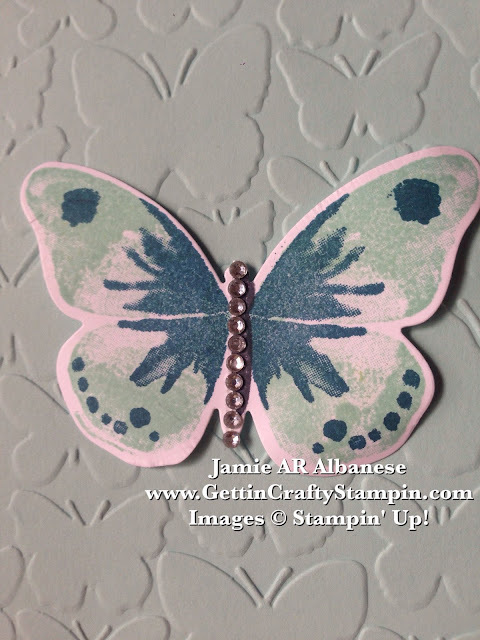 2-Step Stamping is a fun way to create a multiple colored and layered image. The Watercolor Wings new stamp set creates a unlimited options in a variety of stamped butterflies! It's Photopolymer and that makes for super easy 2-Step Stamping! Tied in with the BUNDLE, Saving 15%, the Bold Butterfly framelits on the Big Shot Magnetic Platform and Die-Cutting Machine make for easy die-cutting. A simple sentiment with the pop of the elegant bling of our adhesive backed Rhinestone Jewels along the center. This card is simple but fun and elegant! Deliver a whimsical card that will have hearts flutter! This card is elegant from it's monochromatic colors to the dazzle of rhinestones. Send some love and show someone how their kindness has blessed you with a card like this! Join Us at our fun card making classes or our Stamper's 10 Club (this Sunday!! ).